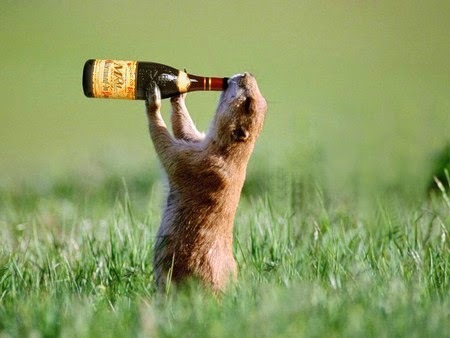 Let’s make a toast to Groundhog Day in America, that crazy pseudo-holiday celebrating the now-infamous Punxsutawney Phil thanks to the 1993 movie of the same name. By the time the media has enjoyed its usual fun with the day, we’ll all want another drink, won’t we? Including Phil. Can you tell this isn't my favorite celebration? Indeed, I can only say two good things about Groundhog Day. 1. It signals the halfway point between winter solstice and vernal equinox and 2. it commemorates one of my favorite drinks, sweet vermouth over crushed ice with a twist of lemon. This is the German version of a martini, and I grew up with my adult relatives sipping it as an aperitif during the summer. It’s a flowery, sweet wine with a little bitter after-bite from wormwood, the herb that also is the foundation for absinthe. My protagonist, Megan MacGregor, likes this unusual drink, perhaps because it reflects her sweet but strong feminine nature. She and her hero, J. Lindsey Calhoun, have a good-natured ongoing argument about her lack of Scottish sensibilities. He, of course, is an avowed scotch drinker, and quite an expert on the best varieties. 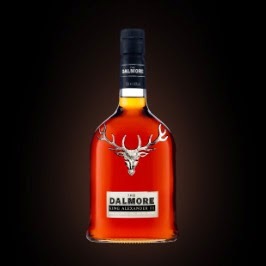 At the family law firm, the high-powered offices of Calhoun & Sons, you’ll always find a crystal decanter of The Dalmore on the conference room credenza, to toast yet another successful winning trial or seal a lucrative legal contract. Any of these scenarios can (and have been) used to show the actions of characters as well as incidents to drive a plot. We draw conclusions about people through their association with drink, and not just alcoholic beverages. One of my novel characters drinks only water and that fact alone probably has you speculating as to what kind of person he is. What is behind that choice? Health reasons? Religious practice? Perhaps something darker? A simple libation can become the basis for mutuality, or a reason to strongly dislike someone. These are ideas to think about when building your characters and your plots. So what is your daily regular drink? What do you drink to celebrate? And your main character? What would you order for them at a tavern? Do you share these details in your writing? Why or why not? Leave us a comment and we’ll discuss it. Here’s lifting a wee dram of Laphroaig to you, my friends! I drink it to better understand my novel hero (really) and to survive yet another Groundhog Day (really really). Dani Greer is founding member of the Blood-Red Pencil blog and is mostly up to no good as she works on her murder mystery novel. 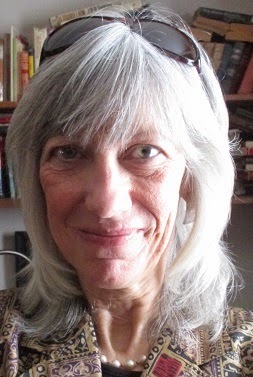 You can connect with her at News From Nowhere, Facebook, Pinterest, and Twitter. This is a good suggestion for writing adult characters. I have seen this technique of adding a different side to a character by an unusual drink choice used before. I think the subtle suggestion is much more effective than a bland characterization. In my story, there's nothing too subtle about the traditions that seep through the story. It's a modern American novel, with modern American protagonists, but the H and h are white collar Scottish Americans, and love their ethnic connections, from playing bagpipes in bands (in kilts) to wearing of the plaid, and drinking of the scotch. It's all part of what defines them. First, Groundhog Dayis special at our house. Second, I do choose libations for my characters. In When Danger Calls, Frankie meets Ryan in a bar and upgrades his order of "Jack" to Knob Creek. Randy in my Pine Hills series prefers Jameson when he wants to celebrate. Colleen in Nowhere to Hide drank Abelour when she was hiding from herself, but had her first experience with Guinness while on a date with Graham. The actor who personifies my main character is a Jameson drinker, Terry. I'm trying to get a beer drinker/brewer into the story line too, but mostly to underscore how water intensive the process is, and not a good idea in drought country. Needs more research though. Oh, and actually this day does hold one of my favorite holidays - Candlemas - and we do celebrate with at least 50 candles in every room! I have used a drink-of-choice to define a character. In the Season's Series, Sarah drinks a Rob Roy, and I chose that because I wanted to go against expectation. She grew up poor in TN, so one would assume she would drink whiskey. While I don't drink anything on a regular basis, I do enjoy a bit of good scotch when one of my kids comes out with a bottle of Macallens. After being introduced to that fine scotch, and knowing how much it costs, I used it as a prop for a wealthy man in one of the stories. I do like using things and choices to define characters. I'll offer you a glass of that, my friend, because it languishes in my cabinet. I seem to be strictly an Islay girl, and must have the peaty taste to enjoy my scotch. As someone who has never imbibed, I am sadly ignorant about things alcohol. When names are dropped in fiction, I am clueless but not interested enough to go look it up. The weird thing about being a nondrinker is when people hear that, they start explaining why they drink or how much they drink or how often - when in truth I am not the least curious. It isn't a moral statement for me. It's just I've never been able to stand the smell much less the taste. I do tend to avoid situations where the smell will be heavy in the atmosphere, like bars. I would obviously have to write characters who drink, but I think I can get away with bland descriptions like wine or beer or things I have heard of like a martini. In fact the rarer the drink, the less likely it is that your readership will have heard of it. So I'd say if you are going to use a rare drink, maybe have a character explain what it is to avoid losing your reader to Google, which will lead to checking Facebook, then Twitter. Don't assume everyone knows brand names or how expensive a beverage is. I'm practically a teetotaler these days, Dani ... I have to jeolously guard the three braincells I have left from the days when my mantra was, "I’d rather have a bottle in front of me than a frontal lobotomy." That said, however, if I were to imbibe, you know it'd have to be a martini, shaken, not stirred. And probably a very dry martini to go with your wit, Christopher. LOL. As I recall, Laphroaig is the scotch of choice of Peter Robinson's Detective Chief Inspector Alan Banks. Really? That's enough to make me want to read a book or two - I see several have been adapted for television as well. Would a Scottish American call it "scotch", or would they consider that an insult as they do in Scotland itself - i.e., it is "whisky" (without the "e", because that is Irish whiskey)? The assumption being that whisky is from Scotland unless otherwise stated, just as Champagne is from Champagne and everything else is just sparkling wine. In America the expression "scotch" means "cheap" and hasn't anything to do with the scotch whisky. And technically there are whiskies (or is it whiskeys or whiskys?) that are not scotch. It's dreadfully complicated. I drink a glass of wine on occasion and Amaretto at times but seldom drink every day. And the groundhog bit that guy yesterday! Really? How did I miss that? What a fun post, Dani. I have one character who drinks scotch, any scotch. She cuts way down to avoid a problem. Another drinks Macallans. I like a good scotch, sometimes vodka, and been known to down a beer or two, either Yeungling or Sweetwater Blue. I actually started drinking beer for the first time a few years ago. Fat Tire is my go-to favorite. Alcohol typically doesn't play a part in my stories, although that may change as I revisit my unfinished novels that have been hibernating for years. Personally, my drink of choice is water (boring, I know). Were I to imbibe, however, I might partake of a very good scotch -- on the rocks -- or a nice rum and coke (not a cola fan, but I like rum). Actually, just drinking water conjures up all kinds of character traits in my imagination. I do have a character who drinks only that, which gives me an opportunity to discuss contaminated water wells as well as the ubiquitous bottled water industry. Wait until the water wars began and a bottle of clean water will become more valuable than the rarest vintage.